This acrylic no smoking sign has a bold black background and white text. This No Smoking Sign offers a Proven way to organize your goods. 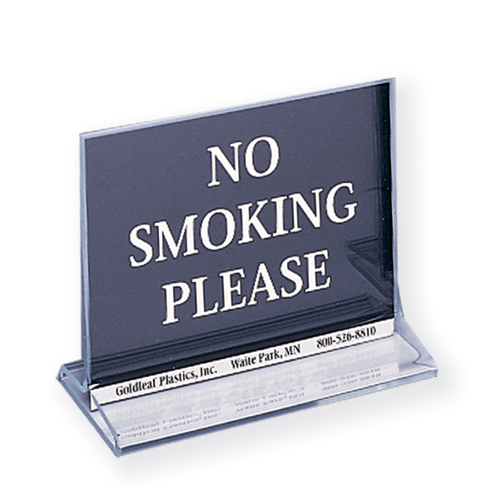 Designed with clear Acrylic, this Countertop Countertop Sign Holder, Menu Holder is designed for functionality. Buy No Smoking Sign now - Use our convenient shopping cart or give us a call and place your order with a knowledgeable service representative today!